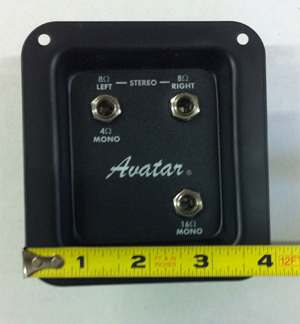 We offer two styles of guitar input jacks. 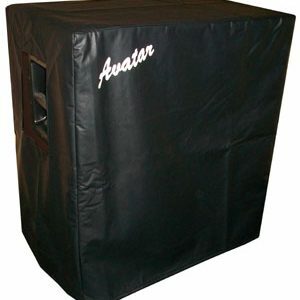 Use for with our 212 cabs with two 8 ohm speakers, or our 412 cabs with four 16 ohm speakers. Input are configured for, 4 ohm mono, 16 ohm mono, or 8 ohm stereo. Two 1/4″ jacks mounted on steel plate. Jacks wired together in parallel with slide on connectors. 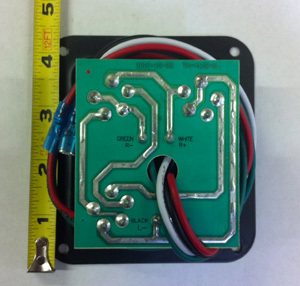 Our 2-way bass inputs are available in 4 or 8 ohm, and have two speaker leads, and one adjustable volume horn lead. They have two 1/4 inch jacks and two speakon connectors.